This is a rectangular Town Talk Bread porcelain sign. This particular Town Talk Bread sign is white with blue and yellow print. 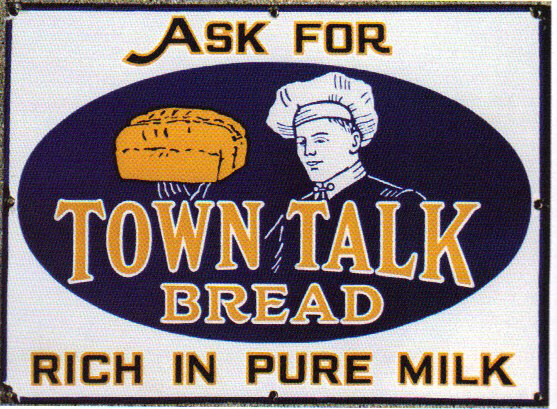 It reads, “Ask For Town Talk Bread, Rich In Pure Milk” and features a man in a white baker’s hat holding a yellow loaf of bread in the center of the sign.